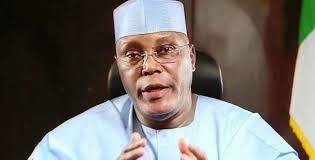 Atiku Abubakar, former Vice President, has reacted to the sack of the Acting Director-General of the Department of State Services, DSS, Lawal Daura. Recall that the acting President, Yemi Osinbajo had sacked Daura, following DSS invasion of the National Assembly. Reacting, the Waziri of Adamawa commended Osinbajo for listening to what he called “the clarion call of Nigerians” and also for taking action to “halt the illegal and anti-democratic siege” on the National Assembly by men of the DSS.